I’m loving seeing all the different interpretations of the letters your posting for the #letterartchallenge – who knew that a simple letter form could inspire in so many different ways. Last week I wasn’t able to take part in the challenge as I was in rural Wales with no internet signal whatsoever, (and yes, that took some getting used to!) but now I’m back and its been great to catch up with last weeks letter D’s . 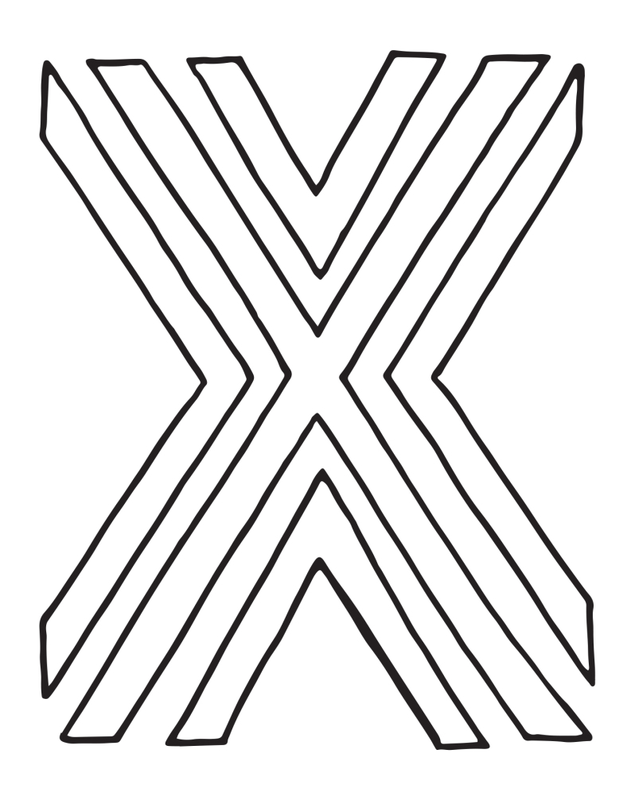 introducing the lovely letter X! We pop this simple letter at the bottom of our scribbled notes without even thinking yet I can’t wait to see what X can really inspire? You can download the letter template created by Fia Lotta Jansson or click on the picture and save. If your not already taking part, its never too late, we’d really love you to join us. Here’s an overview of the Challenge on the Jake & Maya blog.